The sixth episode of the 3rd Season of 'Arabology' (aired Nov 8, 2012) includes an interview with Torange Yeghiazarian, Founding Artistic Director of Golden Thread Productions which is currently staging the ReOrient Festival of Short Plays in San Francisco (in English) which explore the Middle East from November 1–18, 2012. Also includes alternative music from the Arab world accompanied by commentary, in English, by your host DJ Ramzi. 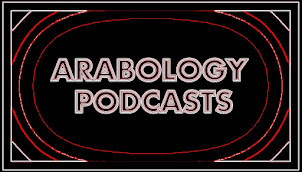 Playlist for Arabology Thursday, 8 November 2012 3pm - 5pm DJ: Ramzi S.
15. Khalife, Marcel And Mahmoud Darwish In Damascus/Suqut Al-Qamar/ Nagam Records, Inc.